Whether you call this humorous, politically incorrect or downright sexist, this is defined as Home Decor item directly on the Scan Hook Label. More specifically it defines the subcategory as Inspirational Sign. So it may not be Sexist Straight-Entry Hook Merchandising. 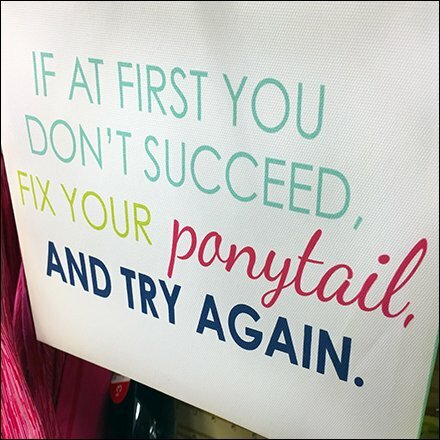 And whether you find the message feminist, positive, or negative, the ponytail reference does make it distinctive. This challenging merchandising seen at Target..